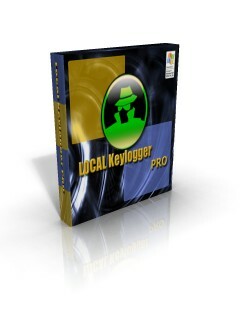 Local Keylogger Pro | Remote Keylogger – Local Keylogger – The most popular computer monitoring software at key-logger.biz! Local Keylogger Pro allows you to monitor all users’ activity on any computers in real time and record each computer’s usage history. Local Keylogger Pro makes it easy to view, in real time, the screenshots of the any computers, all typed keystrokes, visited Web sites, used programs. You can view a list of running processes and terminate undesirable ones. 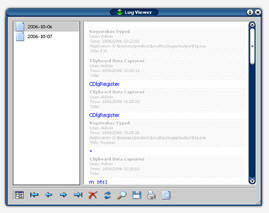 Local Keylogger Procan record all user activity to the log file. This information can be exported to HTML for convenient viewing in your web browser, or exported to MHT file for analysis. This allows you to see how long users worked with particular programs, how much time they spent on Internet, what sites they visited, what they typed in e-mails or chats. Excellent product! I needed a keylogger for my personal computer and I downloaded a lot of programs and this was by far the best. An easy interface and a handy search tool for easy access to the numerous amounts of data the program stores. Capable of recording screenshots at certain times or mouse clicks! I have not purchased this item for I downloaded it only for a trial, but if I was to use a keylogger more often, I would certainly buy this software. 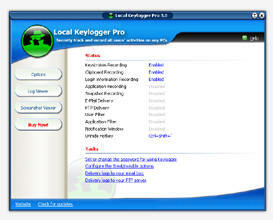 A great keylogger and exactly what anyone would want.